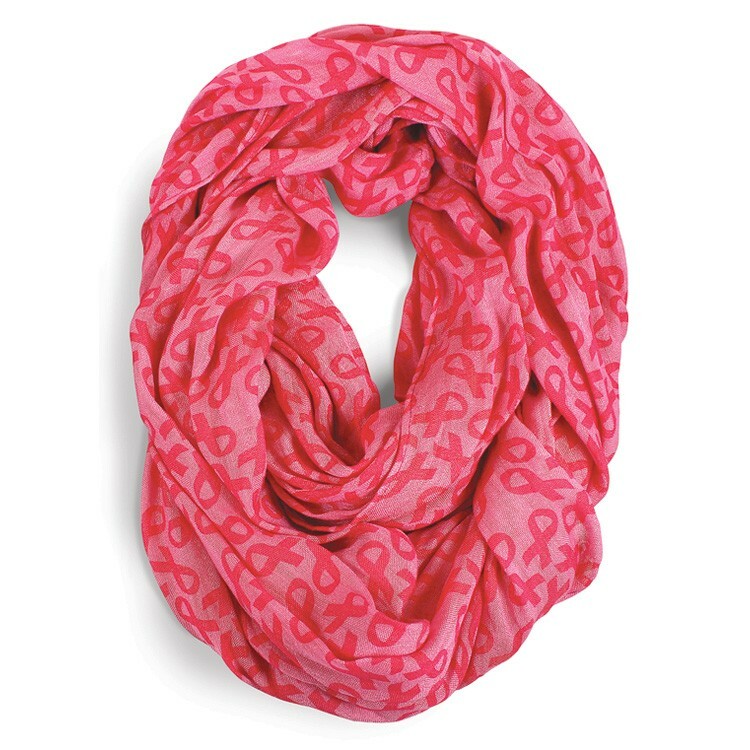 Tone on tone pink ribbon infinity scarves are perfect for any awareness campaign or as a statement accessory. This super soft 100% cotton scarf is great for wearing throughout the entire year. 100% cotton 25" x 60" pink infinity scarf with dyed pink ribbons. Great for awareness programs.